Lobstar is a short run pop-up at the premises of the Express Cafe in Market Row. 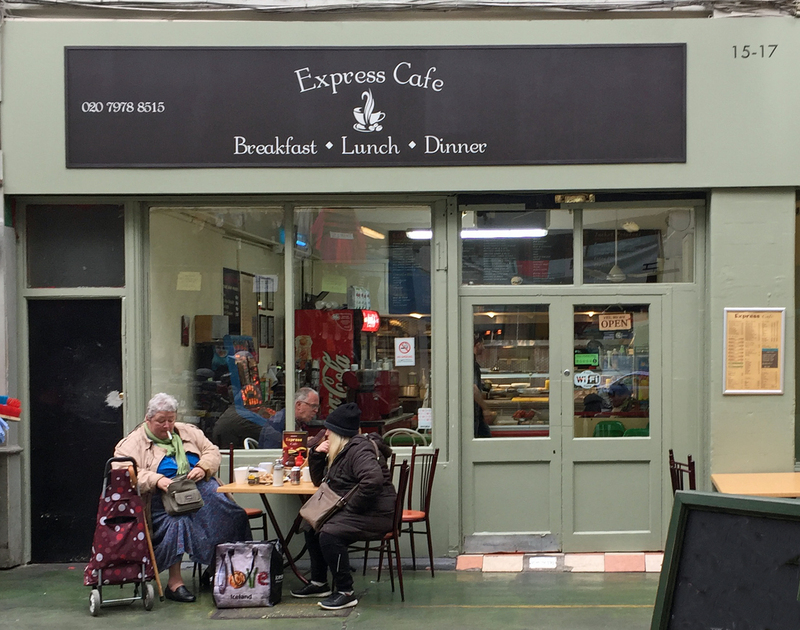 The Express Cafe is a greasy spoon, one of the few left in Brixton, that only opens during the day. So it occasionally rents itself out to pop-ups in the evening. 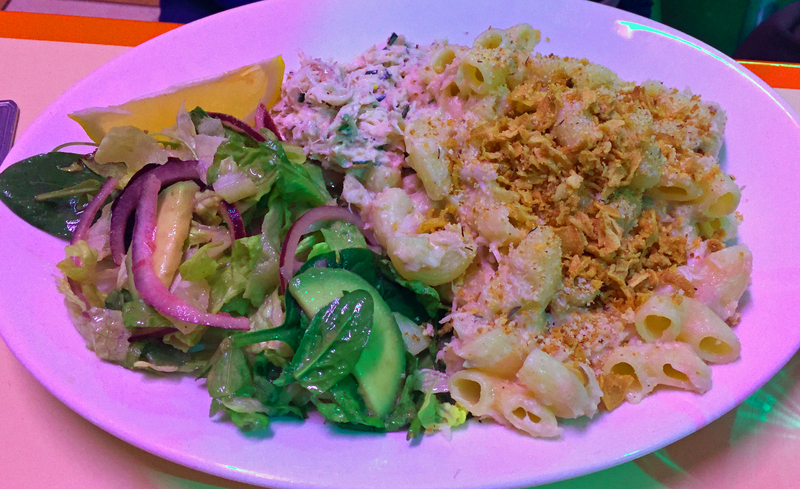 We’ve been a couple of times, for vegan food – see here and for hotdogs – see here , and now, for three days a week in November, there’s a limited menu of lobsters and seafood. As a greasy spoon it’s nothing special, distinguished only by its survival as a comparative rarity in the new Brixton foodscape. It’s stayed true to its roots, offering a range of typical fare. The decor is classic, with yellow Formica tables for four with the attached red plastic seats. 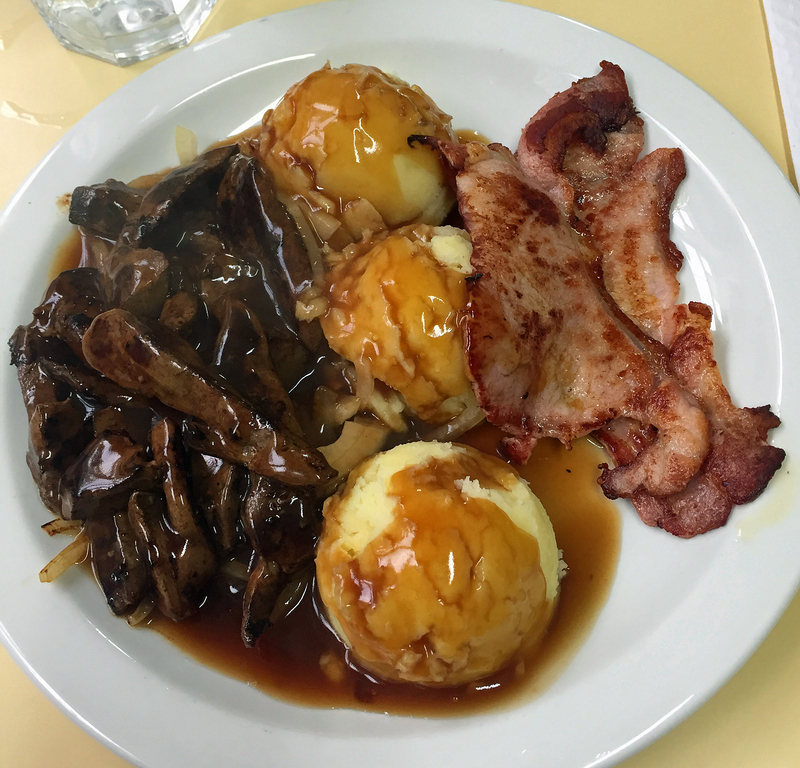 On a recent visit I enjoyed a good serving of liver and bacon with onion gravy and mash, which for the price, £5.50, offers great value. The service is friendly and prompt, so if all you are looking for is refuelling it’s fine. But it’s not really interesting or tasty enough to be at the top of our list. In fact although we’ve lived in Brixton for many years, we can count on the fingers of one hand the number of times we’ve visited. But, alerted by a tweet, two of us went there on a Friday night to try out the Lobstar pop-up. It’s promoted by an outfit called “Top of the Pop-Ups” – see website here . The menu is short, consisting of whole boiled lobsters, king prawns and ‘mac n cheese’, with or without crabmeat. There’s also green salads and ‘skinny fries’, plus a couple of deserts, cheescake and Pavlova. And that’s it. We went for a lobster and a portion of ‘mac n cheese’ with crabmeat. Both come with salad and the lobster with fries. The lobster is served cold from the display cabinet. The ‘mac n cheese’ arrived on the cool side but, when asked, they were happy to give it another go in the microwave. The lobster was good, with all the necessary equipment provided to get at the meat. There’s a choice of four dips, for which you have to pay extra, which seems a little mean, given that they are an essential part of the meal. We enjoyed both the ‘star-lic mayo’ (very garlicky) and the ‘movie rose sauce’. The ‘mac n cheese’ was also tasty, at least when it was warm enough. There was lashings of crab on the side so we didn’t feel short changed. The chips were fresh and OK – nothing special. We did enjoy the salad, simple but with a sharp vinegrette dressing. 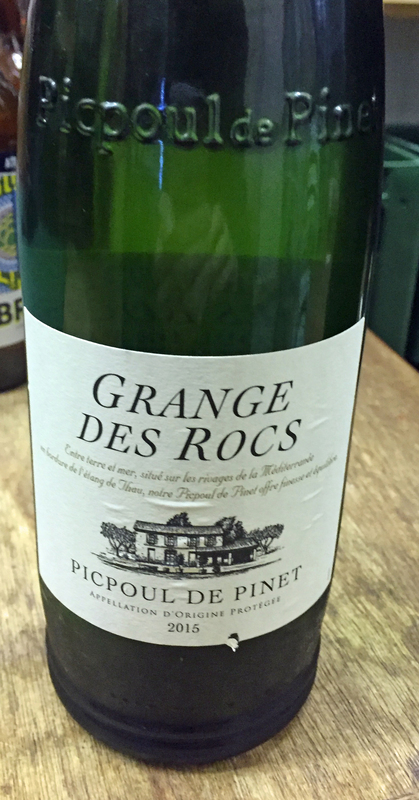 It’s BYO, which was a plus as far as I was concerned, since I was able to nip across to Market Row Wines http://marketrowwines.co.uk/ for a bottle of Picpoul de Pinet; excellent with seafood without paying the usual restaurant mark-up. We enjoyed the food and the atmosphere. It was busy, although we did get a table straight way. 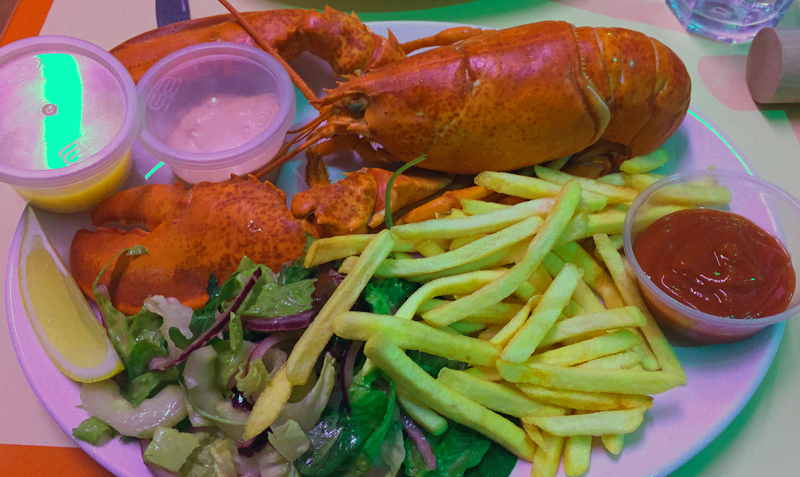 And the prices are OK considering you get a whole lobster, with fries and a small salad, for £25. But it is very limited and, even if it wasn’t finishing at the end of the month, I can’t see us wanting to go again, even if it pops-up elsewhere.